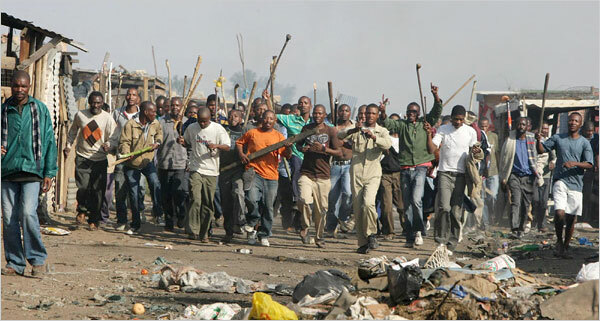 SOUTH AFRICA’s economy is terrorized on a monthly basis by black communist unions that forever are on strike for no valid reason at all bar to try breaking the back of the country and make it “ungovernable.” The African National Chaos regime never speaks out against this flagrant and arrogant type of corporate hooliganism , economic sabotage and subversion that now brought South Africa on the brink of a total financial implosion and recession. It is seen as “politically incorrect” to blame black terrorist unions. 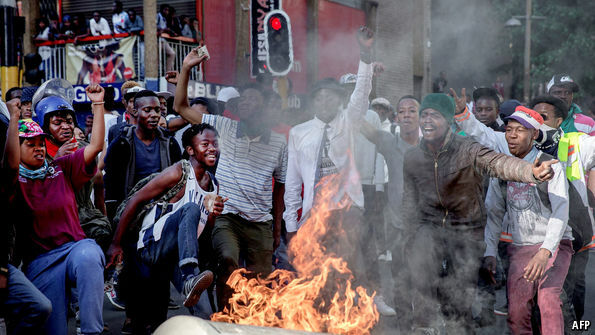 But this time when whites decided they had about enough of the racist ANC regime’s discrimination and their SOE’s with all their discriminatory legislation , policies and actions against specifically whites and decided to take action- the ANC have much to howl about- even describing this rebellion as having “racist” undertones. The leftist race-hatred instigating media also did not hesitate to label it as a “white” resistance- where-as during the hundreds of black violent riots they simply refer to it as ” civil unrest.” It -in contrary with black unions- is seen as “politically acceptable” to blame white resistance unions. ANC cader Pule Mabe- (himself being investigated for discrepancies in a multimillion rand tender awarded in the North West which he denies)– playing the race card again against Afriforum. “We have a staggered industrial action. Today, we have a go-slow. Our 6,300 members will carry out their duties, but in a slow manner. We plan to ramp up to a full-blown strike on Thursday,” Dirk Hermann, Solidarity’s chief executive said. Dirk Hermann also spoke to Bingwa and says the scheme is not about income inequalities. MEANWHILE the poor ANC dogs are howling “racism” again- (as expected.) Spokesperson Pule Mabe says the ‘obsession with perpetuating racial polarization does nothing towards advancing our forward momentum as a nation.’ Now the ANC ironically loosely mentions terms such as “ obsession” and “ polarization”– all while they are the main perpetrators of gross racism against specifically whites. The African National Chaos also said on Monday it had “noted with concern the strike called by Solidarity against the employee share scheme targeting black employees at Sasol.” An earlier Reuters report said workers from South Africa’s mainly white Solidarity union are engaged in a “go-slow “ protest at Sasol over a share scheme offered exclusively to black staff and will launch a full strike on Thursday. The Solidarity union also said it will file a complaint to US regulators over the petrochemicals firm’s down-right discriminating black share scheme. SASOL was built by white tax payers during the liberal attacks pre-1994 that lead to sanctions- now the black racist in control refuse the white share holding. It appears that the ANC are loaded with hipocrates and as ever- deceptionists. The ANC never “fought” for democracy- but lousy as they are- sat in Dar-Es-Salaam doing nothing but dining with the National Party traitors in London 5-star hotels while the mainly PAC waged a terrorist war against the Pretoria government on the ground. So Mabe- in typically ANC fashion – are lying through his neck. Mabe went on rambling and said that, historically, Sasol has always had schemes that “benefited white employees ” to the exclusion of their black counterparts. “One of the fundamental tenets of our democracy is enabling economic participation by black people as part of addressing historical inequalities,” said the critter. Again Mabe- in yet another typical ANC fashion- conveniently refrain from acknowledging that SASOL was a all-white funded and created venture- and it only is logical that the creators of a venture can appoint their own as they damn well wish to. Can the African National Disaster show us ONE successful company they set up which accommodate black staff?No they cannot! In 20 years they cannot even show a single venture the likes of SASOL, Transnet, Post Office, ATLAS or ISCOR they have created- but all these giants are white creations they simply came and stole from the white man. Mabe then went on to try hitting a few cheap political points and declared: ” “We applaud the initiative taken by Sasol and welcome its contribution towards the realization of our constitutional imperative to share the wealth of the country with all her citizens. 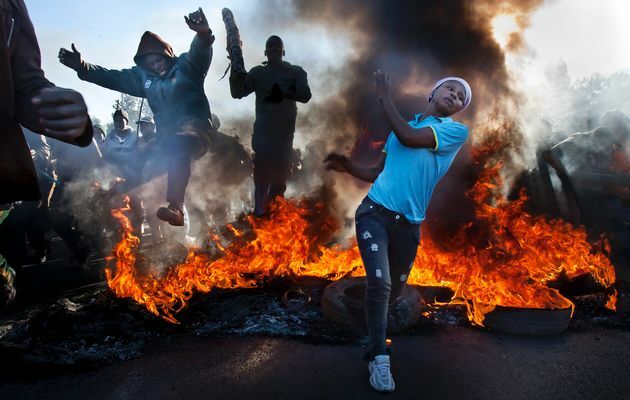 In characterizing the Sasol initiative as racial exclusion is at best “malicious” and at worst “dishonest.” But Mabe again – being the hard-line hippocrate he is- refrain from also mentioning that the African National Disaster have naked racist policies on their books such as BEEE, government assistance for blacks only, government housing not allowable for whites and 119 other ant-white laws on their books. AS for the ” share the wealth of the country with all her citizens” part Mabe also refrain from telling that same “citizens” why they do not have the right of access to South Africa’s diamond , gold, platinum, and coal resources as well – but that rights exclusively are kept for foreign Anglo-British Jews and ANC “elites” such as the Mandelas, Ramaphosas, Zuma’s, Guptas et al. Again Mabe is using sugar-coated terms and phrases such as ” nation building”, ” prosperous nation”, “fully participate in the economy” and “racial polarization”- terms and phrases the ANC never adhere to – but are the worst kind of perpetrators when it comes to race polarization! They-on a continuous basis- are busy blaming whites and advocating naked racism against whites from podiums. AS for so-called ” full participation in the economy” Mabe also never explained why – if this was one of the ANC’s policies- after 20 years of ANC reign– still more than 40 million black South Africans are dumped in utter poverty in Squatter camps strewn across the country. What happened to the ” wealth sharing” and ” participation in the economy” for those people? Obviously Mabe and his ilk will not be able to fully explain this phenomena-which again is proof that the ANC is a lying and a deceitful bunch of oligarchs that only are here to enrich themselves. Blaming Solidarity for “racism” is like the dinner plate blaming the teaspoon for also being on the dinner table. 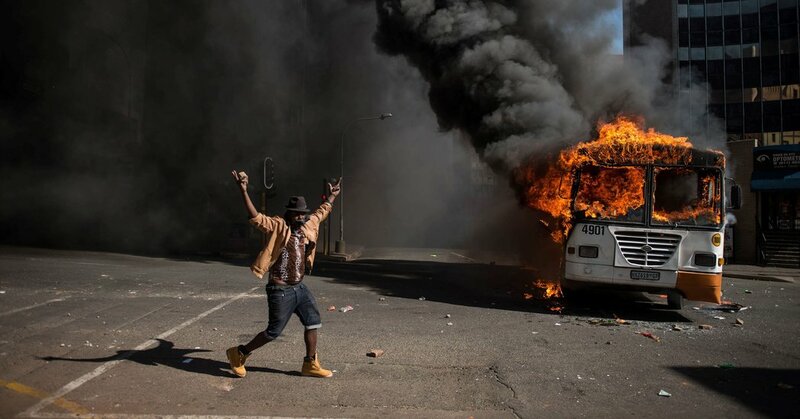 For too long this ANC racists and black ” we got it mahallah” companies have been discriminating in the strongest ways against whites- all neatly masqueraded under the banner of “Black Economic Empowerment”– which is nothing less than discrimination against the poor docile whites in a “political correct” way. It is time whites get off their lazy arses and start to hit back at this devious corporations and start to strike like the blacks do and start to boycott all of them. 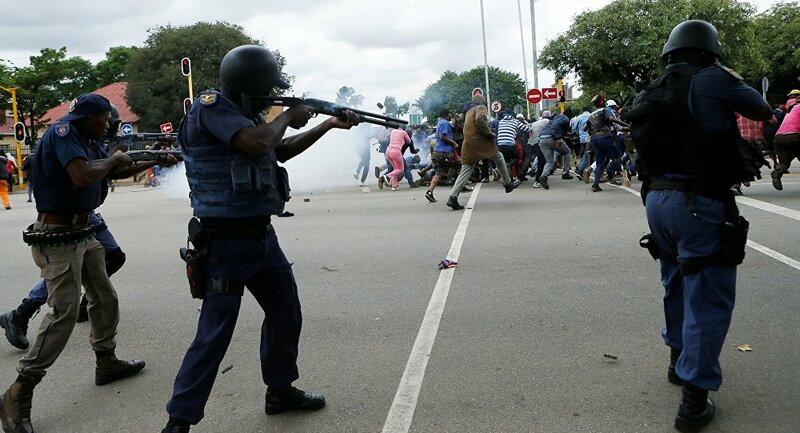 BUT we never hear Pule referring to these black hooligans as having “racist” undertones.